Elevated between 6867 ft and 9770 ft, the Ski Resort is among the 5 highest elevated Ski Resorts in Grisons. The vertical drop from summit to base is 2904 ft. The average difference in altitude between base and summit of Ski Resorts in Switzerland is 2890 ft. Season starts on Dec 19 and ends on May 5 (137 days). 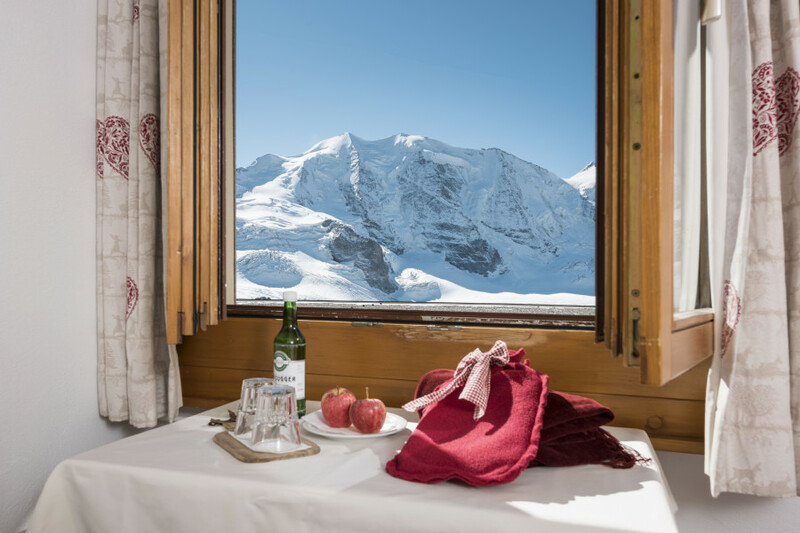 Average season duration in Switzerland is 112 days. Average snow depth during the season (Dec 19 to May 5) is 48 " at summit elevation and 17 " at base elevation. Snow coverage is usually best during February, offering an average snow depth of 51 " at summit elevation and 25 " at the base. 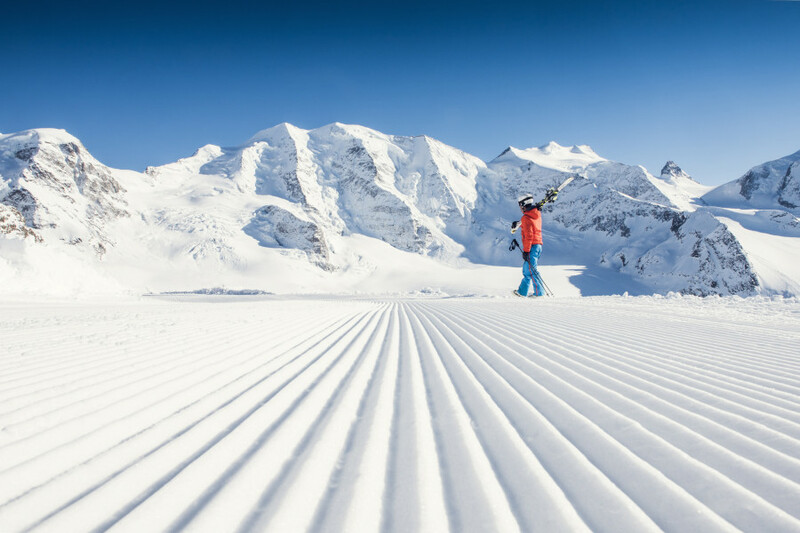 Therefore Diavolezza Lagalb is among the 10 ski Resorts with best snow conditions in Switzerland. Diavolezza Lagalb features 66 sunny days on average per season. 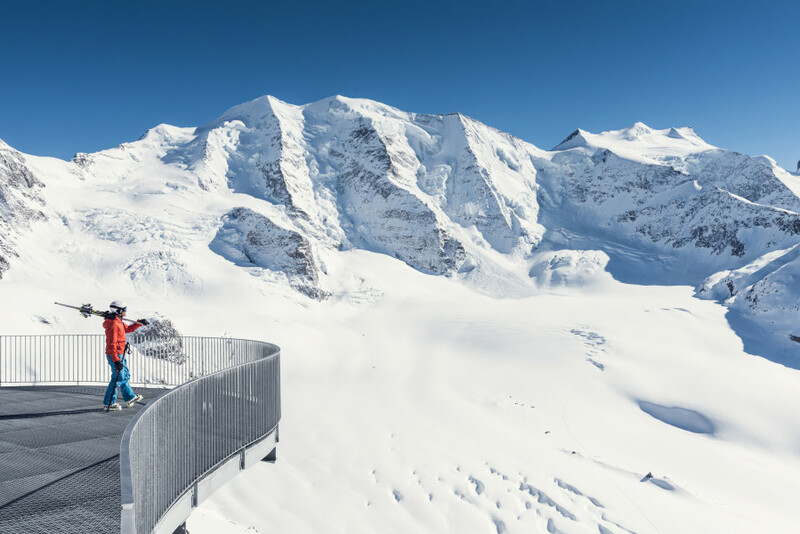 The average for all ski Resorts in Switzerland is 62 sunny days. April is the sunniest month with an average of 20 sunny days. The ski resort of Diavolezza-Lagalb is located at the Swiss canton of Grisons. Gondolas get you to the top stations of the opposing mountains Diavolezza and Lagalb. From October through May, you get to ski a total of 32 kilometres of groomed slopes here. A connecting slope joins Diavolezza and Lagalb. From Diavolezza's top station, red and black runs get you back to the valley. The runs round chair Gletschersesselbahn as well as the base run are also suited to families. Beginners and children can take their first steps on skis at the magic carpet in the base area. Lagalp, on the other hand, is only suitable for experienced skiers and snowboarders. Switzerland's longest glacier run, taking you 10 kilometres to Morteratsch, is a special challenge. Furthermore, there are also opportunities for back-country skiing. Before you make your way from Lagalb to La Rösa, or from Diavolezza to Val Alras, you can go to the Freeride Checkpoint next to Diavolezza top station to inquire about the conditions. Berghaus Diavolezza serves treats from the she-devil's kitchen! 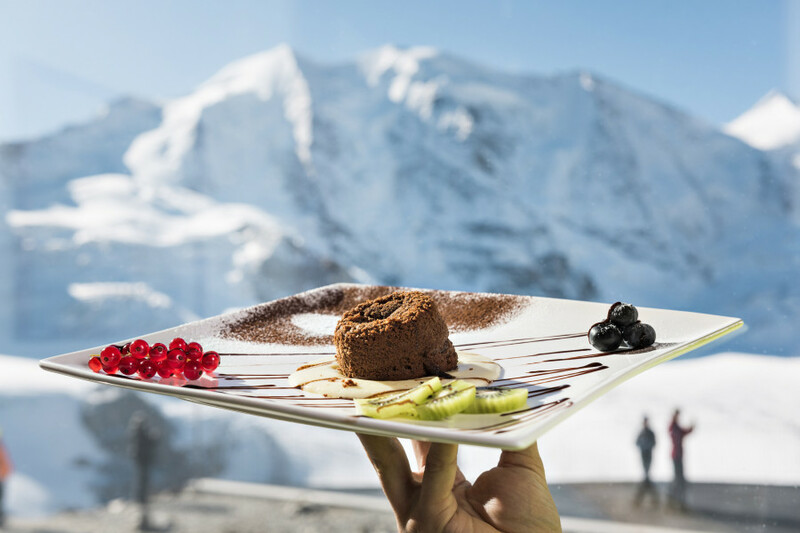 Either out on the sunshine terrace, reclining on a deckchair, or in the restaurant, you can enjoy delicious speciality dishes accompanied by breathtaking views of the glacier. In winter, the 10km long glacier run on Morteratsch Glacier is regarded as an absolute highlight. The Glüna Plaina – full-moon skiing – is also a must for adventurers. When the full moon (“Glüna Plaina” in Romansh) lights up the landscape, the mountain restaurant Diavolezza calls for dinner with a follwoing moonlight run across quiet slopes to the valley. Simply “fabulus”, say locals in Romansh. Don't miss out on this experience! The ski and hiking area Diavolezza is situated above the villages Pontresina in the Upper Engadin. You get here with the Rhaetian Railway (RhB), over different passes or with the airplane.